Update: Notes are mostly complete. November 15 hotfixes are up! Keep in mind that this is the first PTR build and it does not contain all of the class changes! New legendary items were added and some of the old ones were modified. Rockspine Basilisk comes from the Brawler's Guild. Lots of new items were added in this build! Some new toys were added. New Rumble Cards were added. New Brawler's Guild items were added. Lots of Micro Holidays were added. The faction that wins the Ahn'Qiraj holiday gets to fly their banner next to the Scarab Gong for the rest of the year. There are lots of spell and talent changes in this build! Lots of changes to legendary items, including the two favorites! Keep in mind these aren't all of the changes. Prydaz, Xavaric's Magnum Opus - New effect: "Every 30 sec, gain an absorb shield for 30% of your maximum health for 30 sec." Roots of Shaladrassil - Heal now ticks every 2 sec, down from 3 sec. Sephuz's Secret - Now also triggers from interrupt. Now grants 25% Haste, up from 15%. Now has a 30 sec CD. Cinidaria, the Symbiote - Now works on enemies above 85% health, down from 90%. Now heals you for 100% of the damage done. Anger of the Half-Giants - Demon Blades generates an additional 1 to 12 Fury, down from 1 to 20 Fury. Hidden Master's Forbidden Touch - Touch of Death can be used a second time within 5 sec before its cooldown is triggered, up from 3 sec. Ei'thas, Lunar Glides of Eramas - Rising Sun Kick causes your target's next melee attack to extend your heal over time effects by 5 sec, up from 2 sec. Fundamental Observation - New effect: Zen Meditation has 50% reduced cooldown and is no longer cancelled when you move or when you are hit by melee attacks. Uther's Guard - In addition to its previous effect, it now also heals the target for 15% of their maximum health (the old effect from Chain of Thrayn). Justice Gaze - Now does 600% Weapon damage, up from 350%. Chain of Thrayn - New effect: Grants an additional 70% healing done (35% for Holy) and an additional 25% damage done while Avenging Wrath / Crusade is active. Phyrix's Embrace - New effect: "Increases Guardian Spirit's duration and healing bonus by 50% and Guardian Spirit no longer terminates its healing bonus effect when sacrificing itself." The Twins' Painful Touch - Now works with Mind Flay instead of Mind Sear. Shadow Satyr's Walk - Shadowstrike restores 5 Energy plus an additional 1 Energy for every 2 yds between you and your target, down from 10 energy. Pristine Proto-Scale Girdle - Now does 40% spellpower damage, up from 18%. Archavon's Heavy Hand - Mortal Strike refunds 8 Rage, down from 15. Some new legendary items were added in this patch! Educated Guesser (New) Obtain 10 stacks of Vested Interest in the Brawler's Guild. 5 points. I Am Thrall's Complete Lack Of Surprise (New) Defeat 10 bosses using random brawl mode in the Brawler's Guild. 5 points. King of the Guild (New) Reach Rank 8 with Bizmo's Brawlpub. Rewards Title: Brawler. 5 points. King of the Guild (New) Reach Rank 8 with Brawl'gar Arena. Rewards Title: Brawler. 5 points. Rumble Club (New) Defeat all rumbles in the Brawler's Guild. 5 points. The First Rule of Brawler's Guild (New) Get invited to brawl at Bizmo's Brawlpub in the Deeprun Tram. 5 points. The First Rule of Brawler's Guild (New) Get invited to brawl at Brawl'gar Arena in The Valley of Honor in Orgrimmar. 5 points. The Second Rule of Brawler's Guild (New) Reach Rank 4 with Bizmo's Brawlpub. Rewards: Brawler's Pass. 5 points. The Second Rule of Brawler's Guild (New) Reach Rank 4 with Brawl'gar Arena. Rewards: Brawler's Pass. 5 points. You Are Not The Contents Of Your Wallet (New) Obtain 20,000 Brawler's Gold. 5 points. You Are Not Your $#*@! Legplates (New) Win a brawl. 5 points. The First Rule of Brawler's Guild (Season 1 or 2) Name changed from "The First Rule of Brawler's Guild (Season 2)" to "The First Rule of Brawler's Guild (Season 1 or 2)". Get invited to brawl at Bizmo's Brawlpub in the Deeprun Tram during the Draenor campaign. The First Rule of Brawler's Guild (Season 1 or 2) Name changed from "The First Rule of Brawler's Guild (Season 2)" to "The First Rule of Brawler's Guild (Season 1 or 2)". Get invited to brawl at Brawl'gar Arena in The Valley of Honor in Orgrimmar during the Draenor campaign. Ferocious Elite (New) Reach 2000 in any Rated PvP Bracket during Legion Season 2 10 points. Vindictive Elite (New) Reach 2000 in any Rated PvP Bracket during Legion Season 1 10 points. No Shellfish Endeavor (New) Complete the Murky quests listed below. 5 points. Murloc Battlemasters (New) Proud owner of Knight-Captain Murky and Legionnaire Murky from the 2016 BlizzCon. Account Wide. Patron of War (New) Witness the world's finest Gladiators compete! Account Wide. Ahead of the Curve: Gul'dan Defeat Gul'dan in The Nighthold on Heroic difficulty or higher, before the release of the next tier of content. opening of the Tomb of Sargeras. Ahead of the Curve: Helya (New) Defeat Helya in Trial of Valor on Heroic difficulty or higher, before the opening of the Tomb of Sargeras. Ahead of the Curve: Xavius Defeat Xavius in the Emerald Nightmare on Heroic difficulty or higher, before the release of the next tier of content. opening of the Nighthold. Cutting Edge: Gul'dan Defeat Gul'dan in The Nighthold on Mythic difficulty, before the release of the next tier of content. opening of the Tomb of Sargeras. Cutting Edge: Helya (New) Defeat Helya in Trial of Valor on Mythic difficulty, before the opening of the Tomb of Sargeras. Cutting Edge: Xavius Defeat Xavius in the Emerald Nightmare on Mythic difficulty, before the release of the next tier of content. opening of the Nighthold. For players at level 91 and higher. Please note: Invites to the Brawler’s Guild have been reset in the 7.1.5 PTR. Please look for a Blood-Soaked Invitation when opening emissary bags or completing dungeons. If you just can’t wait to get your invitation, you might want to fight the elite vrykul of Shield’s Rest in Stormheim, who know a thing or two about brawling. Class updates for Patch 7.1.5 are underway, with many more to come. Class and Honor Talent updates for PvP in Patch 7.1.5 are underway, with many more to come. The recipe to create Potion of Prolonged Power now creates 10 potions (was 20). Four new neck enchants have been added. All four enchants have 3 ranks. Rank 3 recipes are found in emissary chests for those zones, at a 20% chance. * The rank 3 recipe requires knowledge of the rank 1 or 2 recipe. Boon of the Builder rewards Sprocket Containers from kills in the world, about once an hour. * These can contain guns/gun parts, engineering consumables, new goggle recipes, and a special new reagent called Hardened Felglass, used for goggles (see below). Added a new quest at level 110 for that rewards the recipe for a Rechargeable Reaves Battery. * This item can be used once every 30 minutes and does not have charges. Demon Speed (Rank 1) Activating Blur generates 2 charges of Fel Rush. Blur now grants a 30% movement speed bonus. Rage of the Illidari (Rank 1) When Fury of the Illidari ends, 60% of the damage it dealt erupts in an explosion of fel energy, dividing that Chaos damage among all neaby enemies. nearby enemies. Spiritbound (Rank 1) Hati's bond with you grows ever stronger, increasing his effectiveness in battle. Increases all Hati's damage and all pet damage by 5%. and your effectiveness in battle. Increases all of your damage and your pets' damage by 5%. Spiritbound (Rank 10) Hati's bond with you grows ever stronger, increasing his effectiveness in battle. Increases all Hati's damage and all pet damage by 9.5%. and your effectiveness in battle. Increases all of your damage and your pets' damage by 9.5%. Spiritbound (Rank 11) Hati's bond with you grows ever stronger, increasing his effectiveness in battle. Increases all Hati's damage and all pet damage by 10%. and your effectiveness in battle. Increases all of your damage and your pets' damage by 10%. Spiritbound (Rank 12) Hati's bond with you grows ever stronger, increasing his effectiveness in battle. Increases all Hati's damage and all pet damage by 10.5%. and your effectiveness in battle. 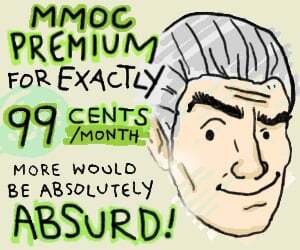 Increases all of your damage and your pets' damage by 10.5%. Spiritbound (Rank 13) Hati's bond with you grows ever stronger, increasing his effectiveness in battle. Increases all Hati's damage and all pet damage by 11%. and your effectiveness in battle. Increases all of your damage and your pets' damage by 11%. Spiritbound (Rank 14) Hati's bond with you grows ever stronger, increasing his effectiveness in battle. Increases all Hati's damage and all pet damage by 11.5%. and your effectiveness in battle. Increases all of your damage and your pets' damage by 11.5%. Spiritbound (Rank 15) Hati's bond with you grows ever stronger, increasing his effectiveness in battle. Increases all Hati's damage and all pet damage by 12%. and your effectiveness in battle. Increases all of your damage and your pets' damage by 12%. Spiritbound (Rank 16) Hati's bond with you grows ever stronger, increasing his effectiveness in battle. Increases all Hati's damage and all pet damage by 12.5%. and your effectiveness in battle. Increases all of your damage and your pets' damage by 12.5%. Spiritbound (Rank 17) Hati's bond with you grows ever stronger, increasing his effectiveness in battle. Increases all Hati's damage and all pet damage by 13%. and your effectiveness in battle. Increases all of your damage and your pets' damage by 13%. Spiritbound (Rank 18) Hati's bond with you grows ever stronger, increasing his effectiveness in battle. Increases all Hati's damage and all pet damage by 13.5%. and your effectiveness in battle. Increases all of your damage and your pets' damage by 13.5%. Spiritbound (Rank 19) Hati's bond with you grows ever stronger, increasing his effectiveness in battle. Increases all Hati's damage and all pet damage by 14%. and your effectiveness in battle. Increases all of your damage and your pets' damage by 14%. Spiritbound (Rank 2) Hati's bond with you grows ever stronger, increasing his effectiveness in battle. Increases all Hati's damage and all pet damage by 5.5%. and your effectiveness in battle. Increases all of your damage and your pets' damage by 5.5%. Spiritbound (Rank 20) Hati's bond with you grows ever stronger, increasing his effectiveness in battle. Increases all Hati's damage and all pet damage by 14.5%. and your effectiveness in battle. Increases all of your damage and your pets' damage by 14.5%. Spiritbound (Rank 3) Hati's bond with you grows ever stronger, increasing his effectiveness in battle. Increases all Hati's damage and all pet damage by 6%. and your effectiveness in battle. Increases all of your damage and your pets' damage by 6%. Spiritbound (Rank 4) Hati's bond with you grows ever stronger, increasing his effectiveness in battle. Increases all Hati's damage and all pet damage by 6.5%. and your effectiveness in battle. Increases all of your damage and your pets' damage by 6.5%. Spiritbound (Rank 5) Hati's bond with you grows ever stronger, increasing his effectiveness in battle. Increases all Hati's damage and all pet damage by 7%. and your effectiveness in battle. Increases all of your damage and your pets' damage by 7%. Spiritbound (Rank 6) Hati's bond with you grows ever stronger, increasing his effectiveness in battle. Increases all Hati's damage and all pet damage by 7.5%. and your effectiveness in battle. Increases all of your damage and your pets' damage by 7.5%. Spiritbound (Rank 7) Hati's bond with you grows ever stronger, increasing his effectiveness in battle. Increases all Hati's damage and all pet damage by 8%. and your effectiveness in battle. Increases all of your damage and your pets' damage by 8%. Spiritbound (Rank 8) Hati's bond with you grows ever stronger, increasing his effectiveness in battle. Increases all Hati's damage and all pet damage by 8.5%. and your effectiveness in battle. Increases all of your damage and your pets' damage by 8.5%. Spiritbound (Rank 9) Hati's bond with you grows ever stronger, increasing his effectiveness in battle. Increases all Hati's damage and all pet damage by 9%. and your effectiveness in battle. Increases all of your damage and your pets' damage by 9%. Fury of the Eagle (Rank 1) Furiously strikes all enemies in front of you, dealing 0 Physical damage. over 4 sec. Damage increased by Mongoose Fury. Force Barrier (Rank 1) Name changed from "Mana Shield (Rank 1)" to "Force Barrier (Rank 1)". Increases damage absorbed by Ice Barrier by 33%. Prismatic Barrier by 20%. Force Barrier (Rank 2) Name changed from "Mana Shield (Rank 2)" to "Force Barrier (Rank 2)". Increases damage absorbed by Ice Barrier by 66%. Prismatic Barrier by 40%. Force Barrier (Rank 3) Name changed from "Mana Shield (Rank 3)" to "Force Barrier (Rank 3)". Increases damage absorbed by Ice Barrier by 100%. Prismatic Barrier by 60%. Force Barrier (Rank 4) Name changed from "Mana Shield (Rank 4)" to "Force Barrier (Rank 4)". Increases damage absorbed by Ice Barrier by 133%. Prismatic Barrier by 80%. Force Barrier (Rank 5) Name changed from "Mana Shield (Rank 5)" to "Force Barrier (Rank 5)". Increases damage absorbed by Ice Barrier by 166%. Prismatic Barrier by 100%. Force Barrier (Rank 6) Name changed from "Mana Shield (Rank 6)" to "Force Barrier (Rank 6)". Increases damage absorbed by Ice Barrier by 200%. Prismatic Barrier by 120%. Molten Skin (Rank 1) Molten Armor Blazing Barrier reduces all Physical damage you take by an additional 3%. 5%. Molten Skin (Rank 2) Molten Armor Blazing Barrier reduces all Physical damage you take by an additional 6%. 10%. Molten Skin (Rank 3) Molten Armor Blazing Barrier reduces all Physical damage you take by an additional 10%. 15%. Molten Skin (Rank 4) Molten Armor Blazing Barrier reduces all Physical damage you take by an additional 13%. 20%. Molten Skin (Rank 5) Molten Armor Blazing Barrier reduces all Physical damage you take by an additional 16%. 25%. Molten Skin (Rank 6) Molten Armor Blazing Barrier reduces all Physical damage you take by an additional 20%. 30%. Ebonbolt (Rank 1) Deals 0 Shadowfrost damage and grants two charges of Fingers of Frost. causes Brain Freeze. It's Cold Outside (Rank 1) Your Water Elemental's Water Bolt deals 30% increased damage and has a 5% chance to generate a charge of Fingers of Frost. Shield of Alodi (Rank 1) Increases damage absorbed by Ice Barrier by 33%. 20%. Shield of Alodi (Rank 2) Increases damage absorbed by Ice Barrier by 66%. 40%. Shield of Alodi (Rank 3) Increases damage absorbed by Ice Barrier by 100%. 60%. Shield of Alodi (Rank 4) Increases damage absorbed by Ice Barrier by 133%. 80%. Shield of Alodi (Rank 5) Increases damage absorbed by Ice Barrier by 166%. 100%. Shield of Alodi (Rank 6) Increases damage absorbed by Ice Barrier by 200%. 120%. Forbidden Flame (Rank 1) The unstable power within Light's Wrath succumbs to your command, further empoweirng empowering your spells. Increases all damage and healing by 5%. 4%. Forbidden Flame (Rank 10) The unstable power within Light's Wrath succumbs to your command, further empoweirng empowering your spells. Increases all damage and healing by 9.5%. 7.6%. Forbidden Flame (Rank 11) The unstable power within Light's Wrath succumbs to your command, further empoweirng empowering your spells. Increases all damage and healing by 10%. 8%. Forbidden Flame (Rank 12) The unstable power within Light's Wrath succumbs to your command, further empoweirng empowering your spells. Increases all damage and healing by 10.5%. 8.4%. Forbidden Flame (Rank 13) The unstable power within Light's Wrath succumbs to your command, further empoweirng empowering your spells. Increases all damage and healing by 11%. 8.8%. Forbidden Flame (Rank 14) The unstable power within Light's Wrath succumbs to your command, further empoweirng empowering your spells. Increases all damage and healing by 11.5%. 9.2%. Forbidden Flame (Rank 15) The unstable power within Light's Wrath succumbs to your command, further empoweirng empowering your spells. Increases all damage and healing by 12%. 9.6%. Forbidden Flame (Rank 16) The unstable power within Light's Wrath succumbs to your command, further empoweirng empowering your spells. Increases all damage and healing by 12.5%. 10%. Forbidden Flame (Rank 17) The unstable power within Light's Wrath succumbs to your command, further empoweirng empowering your spells. Increases all damage and healing by 13%. 10.4%. Forbidden Flame (Rank 18) The unstable power within Light's Wrath succumbs to your command, further empoweirng empowering your spells. Increases all damage and healing by 13.5%. 10.8%. Forbidden Flame (Rank 19) The unstable power within Light's Wrath succumbs to your command, further empoweirng empowering your spells. Increases all damage and healing by 14%. 11.2%. Forbidden Flame (Rank 2) The unstable power within Light's Wrath succumbs to your command, further empoweirng empowering your spells. Increases all damage and healing by 5.5%. 4.4%. Forbidden Flame (Rank 20) The unstable power within Light's Wrath succumbs to your command, further empoweirng empowering your spells. Increases all damage and healing by 14.5%. 11.6%. Forbidden Flame (Rank 3) The unstable power within Light's Wrath succumbs to your command, further empoweirng empowering your spells. Increases all damage and healing by 6%. 4.8%. Forbidden Flame (Rank 4) The unstable power within Light's Wrath succumbs to your command, further empoweirng empowering your spells. Increases all damage and healing by 6.5%. 5.2%. Forbidden Flame (Rank 5) The unstable power within Light's Wrath succumbs to your command, further empoweirng empowering your spells. Increases all damage and healing by 7%. 5.6%. Forbidden Flame (Rank 6) The unstable power within Light's Wrath succumbs to your command, further empoweirng empowering your spells. Increases all damage and healing by 7.5%. 6%. Forbidden Flame (Rank 7) The unstable power within Light's Wrath succumbs to your command, further empoweirng empowering your spells. Increases all damage and healing by 8%. 6.4%. Forbidden Flame (Rank 8) The unstable power within Light's Wrath succumbs to your command, further empoweirng empowering your spells. Increases all damage and healing by 8.5%. 6.8%. Forbidden Flame (Rank 9) The unstable power within Light's Wrath succumbs to your command, further empoweirng empowering your spells. Increases all damage and healing by 9%. 7.2%. Speed of the Pious (Rank 1) You move 30% faster while casting Penance. for 0 after casting Penance. Say Your Prayers (Rank 1) Prayer of Mending has a 10% 6% chance to not consume a charge when it jumps to a new target. Say Your Prayers (Rank 2) Prayer of Mending has a 15% 12% chance to not consume a charge when it jumps to a new target. Say Your Prayers (Rank 3) Prayer of Mending has a 20% 18% chance to not consume a charge when it jumps to a new target. Say Your Prayers (Rank 4) Prayer of Mending has a 25% 24% chance to not consume a charge when it jumps to a new target. Say Your Prayers (Rank 6) Prayer of Mending has a 35% 36% chance to not consume a charge when it jumps to a new target. Void Corruption (Rank 1) Increases damage done by Mind Sear by 5%. Shadow Word: Pain and Vampiric Touch spread 5% more damage from a target affected by Mind Flay. Void Corruption (Rank 2) Increases damage done by Mind Sear by 10%. Shadow Word: Pain and Vampiric Touch spread 10% more damage from a target affected by Mind Flay. Void Corruption (Rank 3) Increases damage done by Mind Sear by 15%. Shadow Word: Pain and Vampiric Touch spread 15% more damage from a target affected by Mind Flay. Void Corruption (Rank 4) Increases damage done by Mind Sear by 20%. Shadow Word: Pain and Vampiric Touch spread 20% more damage from a target affected by Mind Flay. Void Corruption (Rank 5) Increases damage done by Mind Sear by 25%. Shadow Word: Pain and Vampiric Touch spread 25% more damage from a target affected by Mind Flay. Void Corruption (Rank 6) Increases damage done by Mind Sear by 30%. Shadow Word: Pain and Vampiric Touch spread 30% more damage from a target affected by Mind Flay. Akaari's Soul (Rank 1) After you use Cheap Shot or Shadowstrike, Akaari's Soul appears 4 After using Shadowstrike or Cheap Shot, Akaari's Soul appears 2 sec later and Soul Rips the your target, dealing 0 Shadow damage. Shadow Nova (Rank 1) When you exit Stealth, you After using Shadowstrike or Cheap Shot, you have a 30% chance to explode, dealing 0 Shadow damage to all nearby enemies. The Ground Trembles (Rank 1) Increases damage dealt by Earthquake Totem by 5%. by 5%. The Ground Trembles (Rank 2) Increases damage dealt by Earthquake Totem by 10%. by 10%. The Ground Trembles (Rank 3) Increases damage dealt by Earthquake Totem by 15%. by 15%. The Ground Trembles (Rank 4) Increases damage dealt by Earthquake Totem by 20%. by 20%. The Ground Trembles (Rank 5) Increases damage dealt by Earthquake Totem by 25%. by 25%. The Ground Trembles (Rank 6) Increases damage dealt by Earthquake Totem by 30%. by 30%. Might of the Vrykul (Rank 1) Shield Slam and Revenge Thunder Clap generate 0% increased Rage during Demoralizing Shout. Bonus Event: Dungeons - Description: "Complete Legion mythic dungeons for the duration of this Bonus Event!" Item #139487. Quest #44171. Item #140152. Item #140152. Bonus Event: Timewalking (New) - Description: "Timewalk through Mists dungeons for the duration of this Bonus Event!" Bonus Event: Timewalking (New) - Description: "Timewalk through Mists dungeons for the duration of this Bonus Event!" Quest #45799. Currency: Seal of Broken Fate. Timewarped Badge - Earned in Timewalking dungeons. Spend at vendors in Dalaran, Orgrimmar, Shattrath or Stormwind. Exchanged for goods from Timewalking Vendors in capitol cities. Alliance Qiraji Credit (New) - Completing this quest will grant the Alliance credit in the Ahn'Qiraj Rememberance event. The faction which earns the most credit today may hang their banners by the Scarab Gong for the rest of the year. Horde Qiraji Credit (New) - Completing this quest will grant the Horde credit in the Ahn'Qiraj Rememberance event. Brawler's Gold (New) - Awarded to victors of the Brawler's Guild. Use it to purchase Rumble Cards and other world-altering items at the Brawler's Gold Exchange vendor. Max Quantity: 5000. Bizmo's Brawlpub (New) - A group of battle-hungry fighters has gathered creatures from all over Azeroth and Outland to participate in bloody arena deathmatches with heroes of the Alliance. Bizmo's Brawlpub (Season 2) - Name changed from "Bizmo's Brawlpub" to "Bizmo's Brawlpub (Season 2)". A group of battle-hungry fighters has gathered creatures from all over Azeroth and Outland to participate in bloody arena deathmatches with heroes of the Alliance. The second season of the Alliance Brawler's Guild occurred during the Draenor campaign. Brawl'gar Arena (New) - The warchief has gathered creatures from all over Azeroth and Outland to participate in bloody arena deathmatches with heroes of the Horde. Brawl'gar Arena (Season 2) - Name changed from "Brawl'gar Arena" to "Brawl'gar Arena (Season 2)". The warchief has gathered creatures from all over Azeroth and Outland to participate in bloody arena deathmatches with heroes of the Horde. The second season of the Horde Brawler's Guild occurred during the Draenor campaign. Call of the Scarab (New) - On this date, the Scarab Gong was rung, opening the gates of Ahn'Qiraj. Represent your faction by gathering supplies or by slaying Twilight and Qiraji forces. The winning faction gets to fly their banner next to the Scarab Gong for the rest of the year! Glowcap Festival (New) - Today, the sporelings of Sporeggar in Zangarmarsh hold their annual mushroom festival. Help them keep the great Gshoo alive as long as possible! Hatching of the Hippogryphs (New) - Today is the day that the Frayfeather hippogryphs hatch. Head to Frayfeather Highlands in Feralas to witness the spectacle firsthand! March of the Tadpoles (New) - Today, the baby Winterfin murlocs of Borean Tundra complete their trip across the Westrift. Spring Balloon Festival (New) - The skies are clear, the wind is calm... it's a great day for hot air ballooning. Hop into a hot air balloon, enjoy the scenery, and make some new friends! Tavern Crawl (New) - The mages of Azeroth like to relax, too. Hop into a portal at your local watering hole and join the Tavern Crawl! Thousand Boat Bash (New) - The citizens of Azeroth need a break. Let's go boating in Thousand Needles! 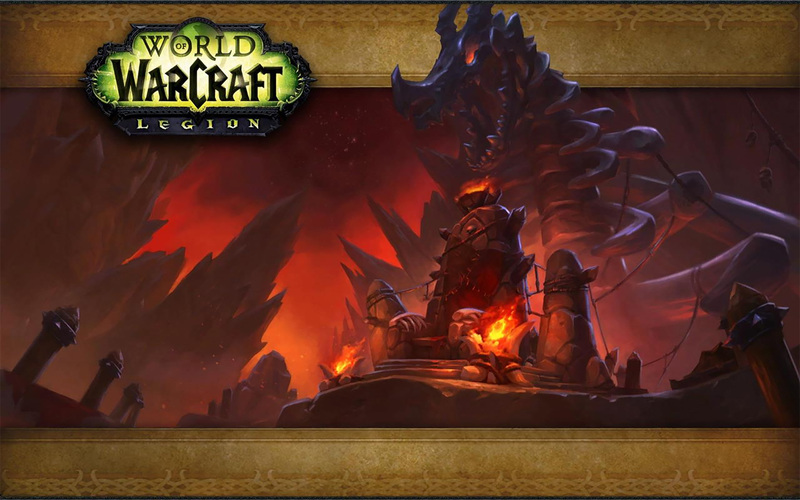 Timewalking Dungeon Event (New) - While this event is active, players level 86 or higher may access a special Timewalking Dungeon Finder queue, which scales players and their items down to revisit past dungeons from the Cataclysm expansion. While Timewalking, bosses will yield loot appropriate for a player's natural level. Un'Goro Madness (New) - The dinosaurs in Un'goro are getting restless. Time to go pay them a visit! Volunteer Guard Day (New) - Today, the denizens of Azeroth and Draenor take some time to celebrate the hard work that their guards perform. /Salute a guard to show you care! Alliance Submarine (7.1.5 Boat Holiday) (New) - Max players: 5. Step 04: The Cache of Madness - Name changed from "Step 04: The Edge of Madness" to "Step 04: The Cache of Madness". AUTO_GROUP_CREATION_NORMAL_QUEST (New) - Doing the quest [%s]. AUTO_GROUP_CREATION_WORLD_QUEST (New) - Doing the world quest [%s]. CHAR_CREATE_THROTTLE (New) - Creation of that type of character is currently throttled. CHAR_CREATE_TIMEOUT (New) - Character creation timed out. ERR_GROUP_JOIN_BATTLEGROUND_DEAD (New) - You cannot join the battleground because you or one of your party members is dead. ERR_LFG_DEAD (New) - You cannot queue because you or one of your party members is dead. LFG_LIST_APP_DECLINED_DELISTED_MESSAGE (New) - ""%s" is no longer looking for additional members." LFG_LIST_APP_DECLINED_FULL_MESSAGE (New) - ""%s" is full and is no longer looking for additional members." LFG_LIST_PRIVATE_TOOLTIP (New) - Only friends and guild members of people already in this group will see it. PREMADE_GROUP_SEARCH_DELIST_WARNING_TEXT (New) - You're currently listing a group in the group finder. Would you like to delist it to begin this search? SPELL_FAILED_CUSTOM_ERROR_326 (New) - You already know all of the knowledge contained in these pages. SPELL_FAILED_CUSTOM_ERROR_327 (New) - You can't risk getting the grummels wet! TOKEN_COMPLETE_BALANCE_DESCRIPTION (New) - %s will be added to your Battle.net Balance. You will receive a confirmation email shortly. TOKEN_CONFIRM_BALANCE_DESCRIPTION (New) - %s will be added to your Battle.net Balance. TOKEN_CONSUMABLE_DESCRIPTION_30_DAYS_BALANCE (New) - Use: Adds 30 days of game time to your World of Warcraft account or %s to your Battle.net Balance. TOKEN_REDEEM_BALANCE_DESCRIPTION (New) - Add %s to your Battle.net Balance? TUTORIAL_TOKEN_GAME_TIME_STEP_2 - 2. Redeem it for 30 days of game|n time. game|ntime. TUTORIAL_TOKEN_GAME_TIME_STEP_2_BALANCE (New) - 2. Redeem it for 30 days of game|ntime (or %s of Battle.net Balance). Hopefully some good news for class fixes. Sounds good though. I defiantly think this is a step in the right direction, now if only we had more minigames like Runescape does. I would love for stuff like Staking in duels or Treasure Trails to be a thing. Heavenily jade cloud serpent!!! Yes!!!! I'm so happy I saved my currency instead of buying the ugly BC mount as the timewalking second mount. Blizzard hates BM. I'm done with this damn game. BTW for people now complaining their class hasn't be improved yet, this is the first PTR build for 7.1.5., not the final one... relax. I would like them to do something to improve Lava Lash for Enhancement. This is a bit annoying that what is supposed to be an "iconic ability" is largely ignored because the only talent to really work with Lava Lash is not taken because it is in the same row as something that is seen as mandatory because of a passive buff attached to the talent. They need to add the passive buff to Rockbiter as well to give actual choice in the first row. Thats my BMs title... I don't have a problem with the changes listed here though. Not too happy with the further separation between the mage specs lore wise. Arcane and Fire mages lose Ice Barrier, why are we called mages still? Why not...elementals or something. Is Ice Block going to be Fire block next? Blink going to be...flash...fire? Mages in warcraft are experts in frost fire and arcane, and then we choose one to focus on. I dunno, it's a small thing but it just bugs me. Well people clearly cant handle reading unfinished PTR notes and are freaking out left right and center. I'm assuming that means, we have to equip that talent to get the bonus effect, not we're given a second talent free for having that helm equipped? Whoa, AotC for Xavius removed with Nighthold? That's unexpected. I was initially disheartened to not see an over glorified orange for Shaman until noticing "Uncertain Reminder" which seems to be overpowered as hell, granted that it can make it to the live like this. Are you serious? It's the FIRST PTR BUILD for 7.1.5. Do you honestly think those are all the class changes...?